This is a partial preview. Full document is 61 slides. View large preview. A simple and straight forward guide to wiriting and presenting your business plan. It is free of complicated jargon. It will hep you get the basics right and makes sure you see the bigger picture. Developing and presenting a business plan is something most of us will do at some point in our business life. If you are good at doing it you are more likely to be successful at raising finance. This is an easy to follow guide that will give you the right attitude and approach to developing and presenting your business plan. As the former CEO of a small venture capital company, I have read and watched hundreds of business plans being presented. The tips I give you here are the tips I wished many of the entrepreneurs presenting their plans had been given before they started preparing their plans. These tips are drawn from a presentation I gave to entrepreneurs who were on an entrepreneurship training course. I have updated the original document so that it looks a lot better. I have also added more material to make it more complete. As a PowerPoint presentation, these slides and notes can be used to teach writing and presenting a business plan. It is currently being used in a number of training courses around the world. So what are we going to cover? We will start with an ice breaker - a little exercise to get us in the right mood. We will then talk about business plans to get a better feel for what they are. 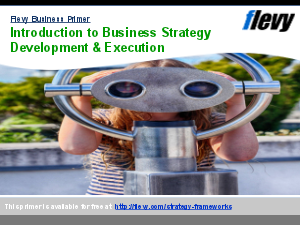 We will talk about how to structure a business plan. We will look at a general structure you can apply to your own plan. We will then look at how to write a good plan - we will go through some tips. First some writing tips, then some design tips. Then we move onto the second part of the session which will cover how to deliver your plan to an audience - typically a group of investors. Business Plan Development? Bain Presentations? Channel Distribution Strategy Example? Or something else.